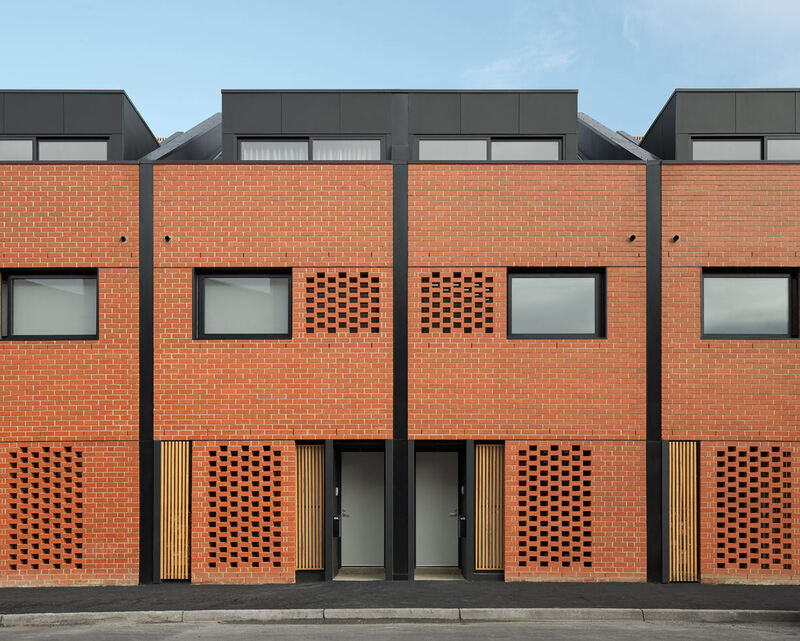 Park and Raphael consists of 19 inner-city 3 bedroom townhouses, replacing two former warehouses. 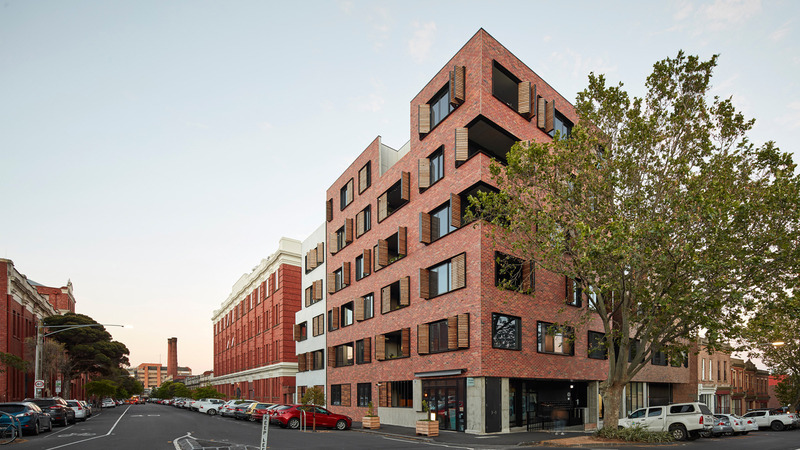 The brief required a high quality, engaging proposal which respects the heritage streetscape without resorting to replication. 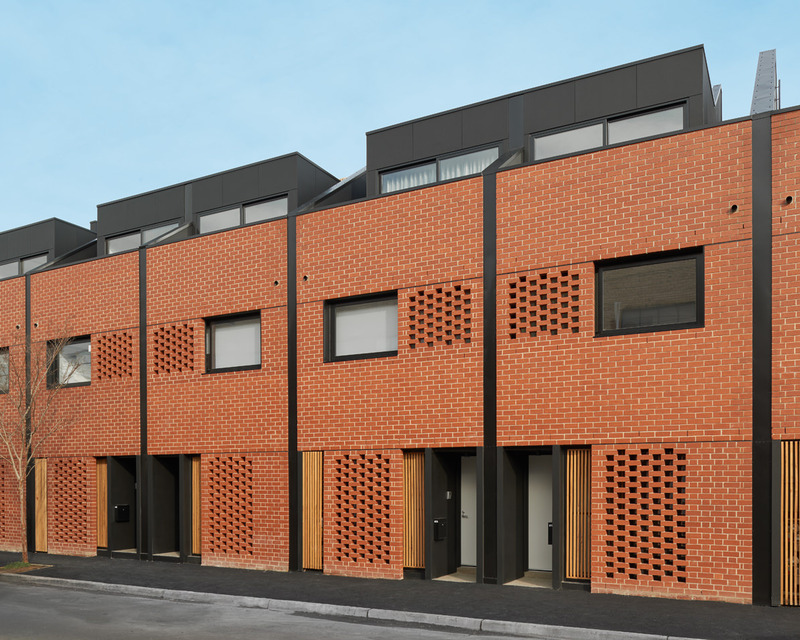 The neighbourhood context is diverse in scale, massing, articulation and materials, and is characterised by a mix of 1, 2 and 3 storey, single and double fronted terrace houses and infill warehouse developments. 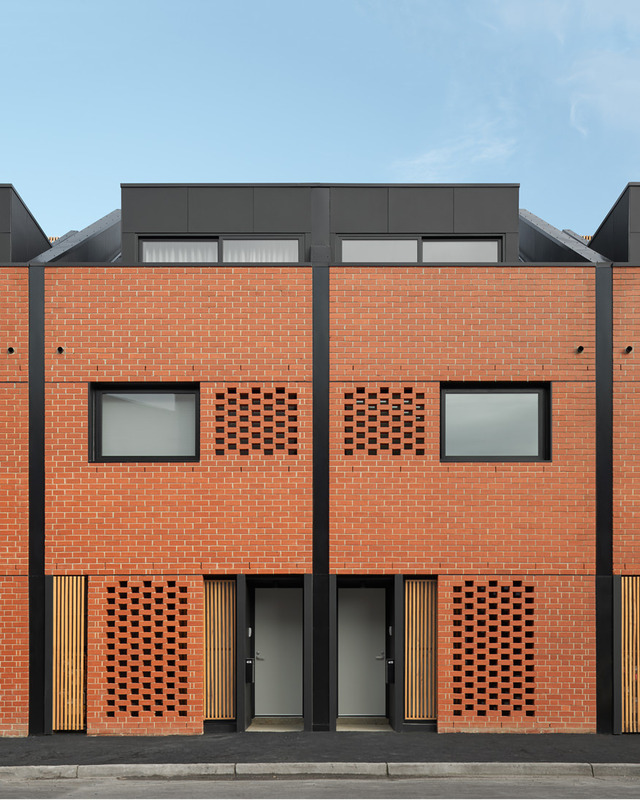 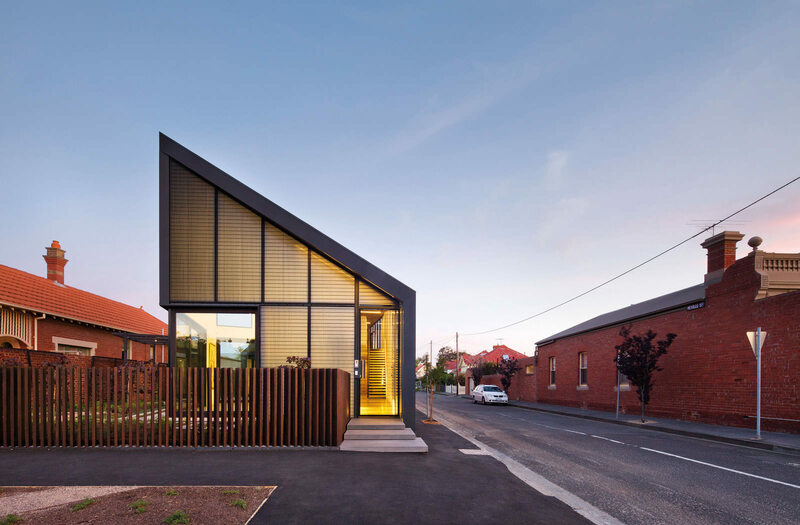 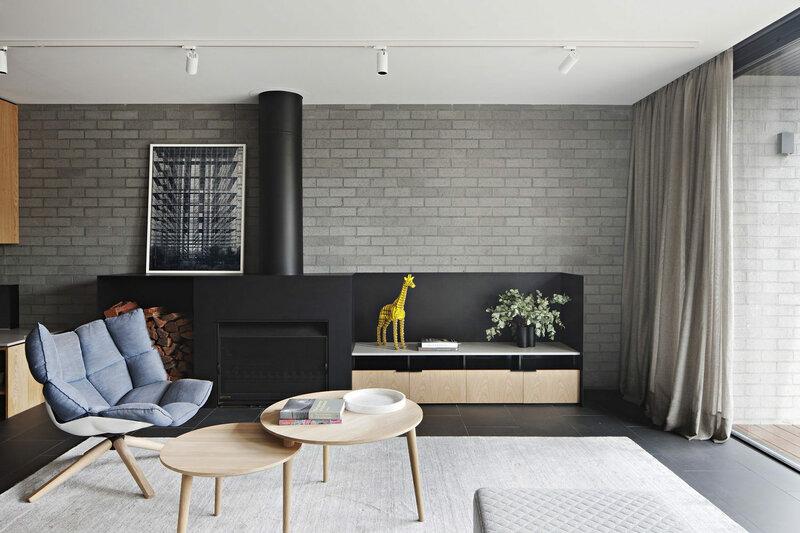 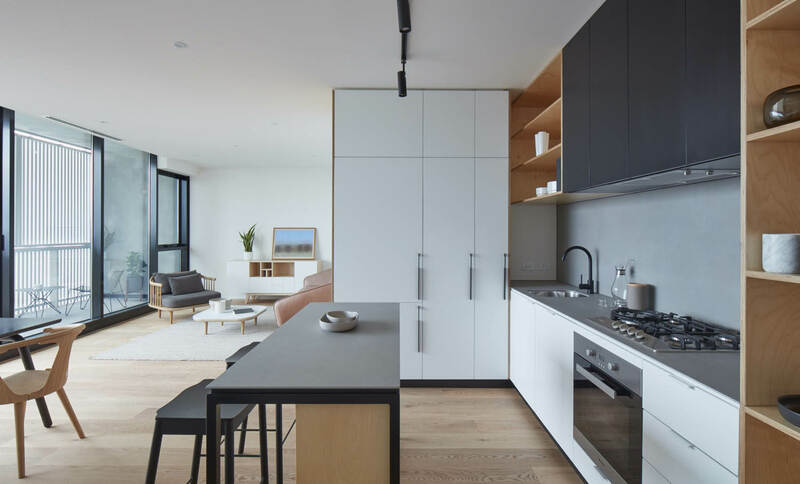 The townhouses take cues from the forms of the former warehouses, while the streetscape articulation picks up on the finer grain of the immediate surrounds, particularly the heritage residences and their materiality. 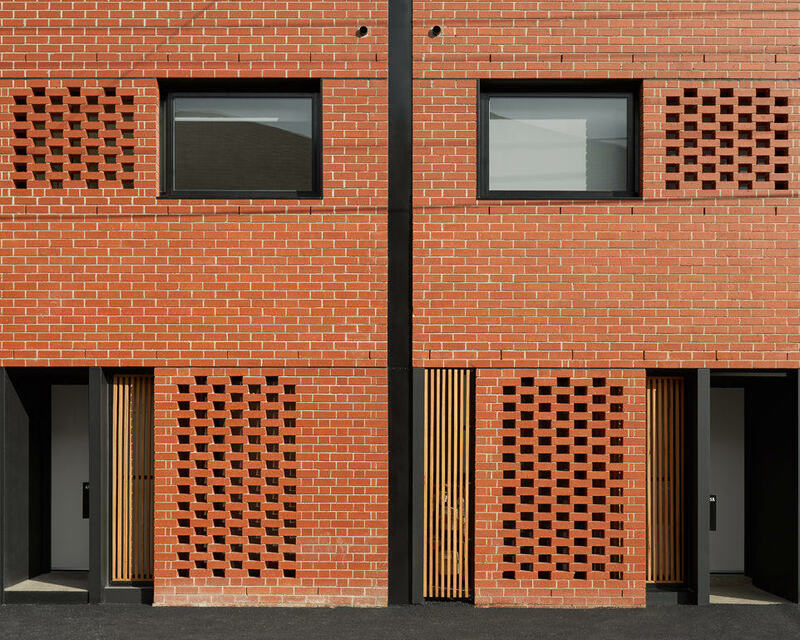 The brick façades combine solid patterned brickwork and ‘hit and miss’ screening, as an abstract reference to the polychromatic brick patterning along parts of the street.